For some of us out there, the idea of a two seat super car just seems like too much of a hassle. Whether it is the lack of back seats or cargo space, ridiculous styling, or simply the awkward contortion required in order to slide into one of those brightly colored suits, many of us would prefer something a bit more understated, and maybe more importantly, something more pleasant to pass the time in L.A. traffic. The luxury, performance sedan category has long been a favorite of those in-the-know in Los Angeles, the Gentleman Journalist, included, however in recent years, it seems the niche has become a bit dull. No matter where you go, you’re practically guaranteed something German with an oversized engine and more prominently, a wide array of buttons and dials to change countless settings in order to adjust anything and everything from five different levels of seat heating to the color that backlights your speedometer. It’s really turned into whether or not you want the three-pointed star of Mercedes, the four interconnected rings of Audi, or the Bavarian blue and white of BMW adorning your cookie cutter sedan designed to fit perfectly amongst its rivals. To make a really lame metaphor, the pot was waiting to be stirred and luckily the Italians have arrived in the kitchen to throw a subtle spice in there. 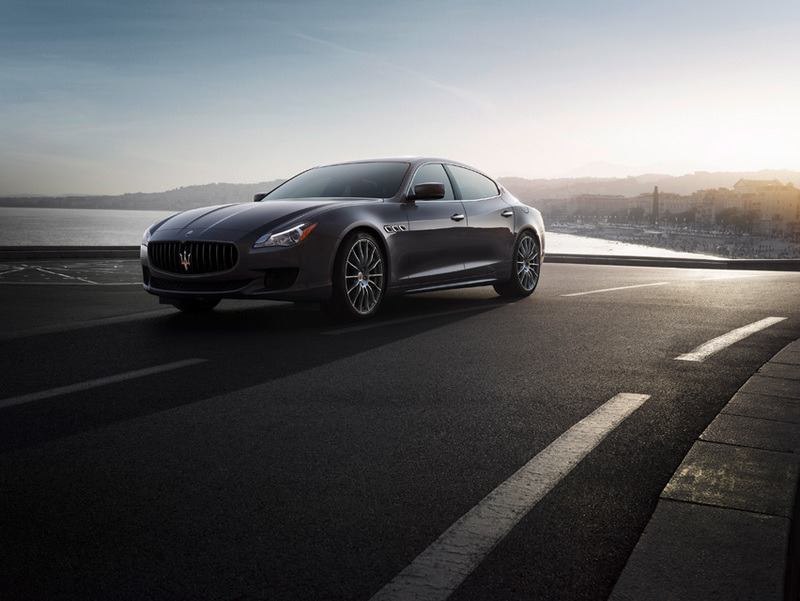 The Maserati Quattroporte GTS possesses a different kind of Italian flare than those bright and boisterous super cars. It has a more classy and powerful aura to it. This is the car that Robert De Niro, Ray Liotta, or even Stanley Tucci would step out of wearing a finely tailored suit and dark wayfarers. The German cars may look mean and drive even meaner, but nothing will haunt your imagination quite like that sense of power and presence of this Maserati Quattoporte GTS, which, in the time I had it, I dubbed my spirit animal. It’s the type of car that should only be sold in black with dark tinted windows, for no other reason than intimidation. That understated and timeless class carries over inside if you’re lucky enough to see the interior as opposed to the inside of the trunk. The steering wheel is simple with only the essential controls on the front and two paddles placed behind the rim if you’d prefer the manual-driving mode. From the two-dial instrument panel across to the analog clock, I just cannot get enough of the styling, and apart from the bright housing for the main navigation screen, this is by far one of the best dashboards in the industry. Now it is not that you have less control in the Quattroporte as opposed to one of its German rivals, it’s just that the interior space is just so much more elegant without a billion buttons to fine tune the experience to an absurd minutia. When you look at the numbers, this Maserati fits right in among its competitors at around the $150K mark, but for that price this stunning four and a half thousand pound beast is powered by a twin-turbo’d 3.8L V8 that makes 523hp and 524lbft of torque! Contrary to the all-wheel-drive trends these days, all that torque is transferred to the rear wheels through an 8-speed automatic with manual mode. As classic and old-school as a meal at Rao’s. With 0-60 mph coming in 4.2 seconds and continuing on to 100 mph in 10.3 seconds, this car is seriously quick. Don’t get me wrong though, the GTS is no BMW M car. The performance comes as a more downplayed aspect of the car, which will present itself when the moment is right, but this is first and foremost a luxury sedan. We took our fully loaded test model to the Polo fields in Santa Barbara to watch the Maserati team play the Farmers and Merchants Bank team and lo, the GTS fit in to the horsey set just right. It’s not the Gran Turismo’s larger older brother pretending to be a sports car. The Quattoporte GTS is the Gran Turismo’s brother who went out, worked for a living, and learned what timeless style looks like. We’ll take the Zegna edition, please! Jon Alain Guzik is the luxury car columnist for Los Angeles magazine. He is the founder of DriveApart.com and dreams of owning an early-80s Ferrari 400i one day. For more of Jon’s writing, go to RideApart.com.